HYDERABAD Once upon a time ! 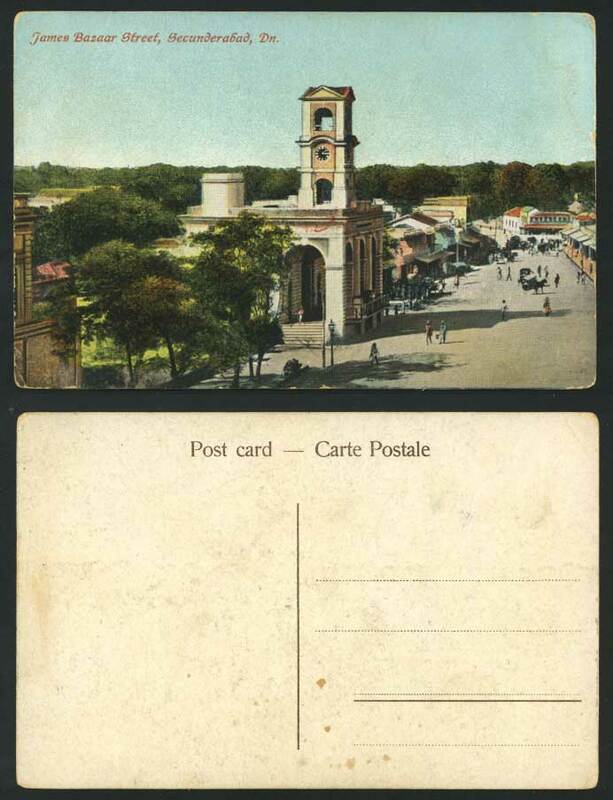 : India Old Postcard James Bazaar Street Secunderabad Dn. India Old Postcard James Bazaar Street Secunderabad Dn. Vintage British Indian Colour Picture Post card. James Bazaar Street Scene, Clock Tower. Secunderabad Dn.